First off, I was in no rush to see this. When a movie is super hyped up it tends to be a turn off to me for some reason. . . .heck, even computers one day long from now. The story was predicable but still good. Bacally Pocahontas in the future on another planet with Aliens. Bacally good vs evil storyline which you'll find in almost all successful film franchises (Star Wars, Harry Potter, Lord of the Rings, etc.). I didn't get too emotionally caught up with the characters (accept for one moment) but over all the acting was on par condering they had to perform in front of nothing but Green screens.However, YOU MUST see this in 3D. It's not like the 3D of My Bloody Valentine. You don't get headaches and it's surpringly clear. If they did this with all movies I could probably t through stuff that I wouldn't normally watch just because I'd feel so much more immersed into the story and the world. Honestly, if you have a short attention span in movies (nce this thing was near 3 hours long) or you get distracted ealy . .. the 3D solves the problem for those with A.D.D. 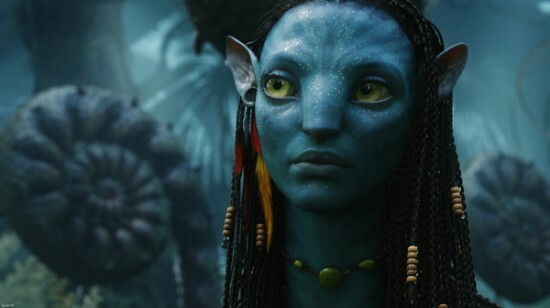 Avatar has already become the 2nd Highest grosng movie (worldwide) of all time in just 20 days. The only thing standing in it's way is Titanic (which Ironically was directed by Cameron also). Seems to me whatever this guy touches is gold. I look forward to his other future projects. Go see it, if for nothing else, for the incredible 3D technology. Avatar wasn't the most expenve movie ever made for nothing. You'll be watching cinematic history if you do. (funny de note, My Bloody Valentine was the first film to reintroduce 3D to screens . . . leading to Avatar and posbly the future of film. So the credit goes to our Horror Genre ladies and gentlemen). Really great review. I pretty much agree 100%. It could have been shorten I thought a little also. It's a must watch in 3D. Ok, this review is SPOT ON. It's like this guy has read my mind on how I feel about movies in general.